Please see part 1 and part 2. Let us now take a look at some of the famous ashrams in present-day India to illustrate some of their key roles. 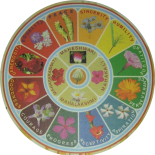 These examples illustrate the outer organizational diversity of the ‘institution’ called ashram, while at the same time highlighting the inner oneness of the deeper purpose or role served by an ashram. But before we go to our examples, a small note about the so-called ‘secular’ ashrams of modern times is in order. These days one also sees ashrams built for specific purposes such as providing homes for elderly people. These vridha-ashrams are now growing in number as the old system of joint family is breaking down and more and more older people are finding themselves alone and unable to take care of themselves. Homes built for street children and other oppressed sections of society are also sometimes given the name of Ashram as they offer refuge and shelter to the homeless. The world-famous Belur Math, the headquarters of the Ramakrishna Math and Ramakrishna Mission, has now become a place of pilgrimage for people from all over the world, professing different religious faiths. Sanctified by Swami Vivekananda and several other illumined monks of Ramakrishna Order, the Belur Math premises include the main monastery, several temples and offices of the Mission. The Ramakrishna Order of monks, which came into existence in 1886 with the blessings of Sri Ramakrishna stands as a symbol of the eternal truths of religion realized and embodied by Sri Ramakrishna and Swami Vivekananda, and their message of harmony of religions, divinity of the soul, renunciation and service. Today, the Ramakrishna movement has become a great force for promoting equality, peace and fraternity in India and abroad. In a diverse society like India, the idea of mutual respect and brotherly feelings towards one and all has great relevance. Another factor which contributes much to its popularity is the rational approach it brings to bear upon every vital problem of life. The fact that this movement lays great stress on selfless service as a means of God-realization also attracts many people. The Ved Vignan Maha Vidya Peeth, commonly known as the Art of Living International Center in Bangalore started by Sri Sri Ravi Shankar, is an important center for spiritual retreats, yoga and meditation classes, and other related workshops. Additionally, it offers schooling opportunities for rural children and also other rural development programmes. There is also a unique Heritage School in this ashram that serves to promote the traditional knowledge systems and Vedic studies. Students at Heritage school are provided an education that caters to needs of the students in modern times and lays great emphasis on the traditional Vedic methods of teaching. The Center also has an Agama Pathshala, a school dedicated to train the students from all over the country in the Dravidian style of temple worship as enshrined in the Shaivic traditions, while at the same time receiving general education and computer training. In Amritapuri, the ashram-city founded by Ma Amritanandmayi popularly known as Amma, in addition to all the facilities catering to the usual roles of an ashram one also finds institutions dedicated to higher technical learning and modern healthcare, all started by the Ashram of Amma. A couple of words may also be said about the famous Sabarmati Ashram of Mahatma Gandhi, where he stayed from 1915 to 1933. This ashram is a witness to many important historical events, perhaps the most famous being that it was from here that Gandhiji started the Salt March or Dandi March, as it is popularly known in India – his protest against the salt tax of the British government. There was a British prison near the site of the ashram, and on another side a wasteland full of snakes. When Gandhiji first visited the place for assessing if it was suitable for carrying out his work, he remarked: “This is the right place for our activities to carry on the search for Truth and develop Fearlessness – for on one side, are the iron bolts of the foreigners, and on the other, thunderbolts of Mother Nature.” The order was not to kill the snakes. A few other notable examples include Sri Ramanashram in Tiruvannamalai and Sri Aurobindo Ashram in Pondicherry. While the former may be seen as a highly traditional ashram, with a schedule for various religious activities and spiritual practices for the residents and students of the ashram, the latter is a very different ashram in the sense that here we find no obligatory practices, no rituals, no compulsory meditations or systematic instructions in Yoga. Fascinating to read about the various ashrams. It is probably time for me to visit one soon. I look forward to your next post. Very interesting and informative post. Sometimes I feel like staying in one for a while, no mobile, no laptop; just… being at peace with myself. Hope your wish comes true sometime soon, Sreesha! Thanks for reading. You are so well informed Beloo. I always wonder how much knowledge you possess. But I really do appreciate your encouraging words! I have stayed in an Ashram for a week. No cell phones, no computer, no TV! Beautiful nature all around, It was refreshing. Thanks for reading this one. Happy to hear about your positive experience at an Ashram. The last part will be posted today itself. You know, I had read these posts when they were posted but had decided to come back again and read them and only then comment on them. I am so happy to see your choice of Ashrams to write about, for these are the ones which lay emphasis on learning and service, specially to education. My nephews and nieces in Chennai had all attended Ramakrishna Mission and Sharada Vidyalaya schools. The Art of Living organisation has so many varied activities connected to education and service and interacting with many of them am impressed with their sincerity of purpose. The same with Mata Amritanandamayi. Felt fulfilled re-reading this post. Thank you for this beautiful comment, Zephyr. I am so happy you liked the choice of Ashrams I have included here. 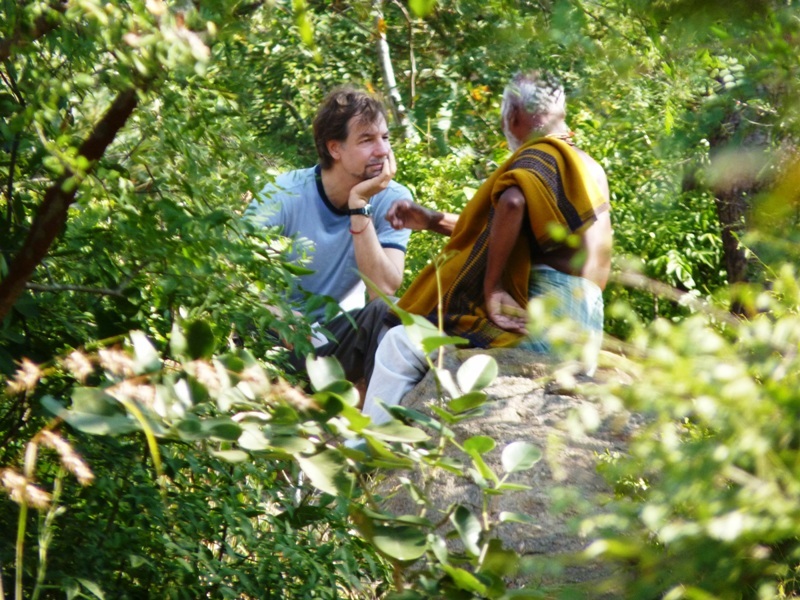 Last year we had the opportunity to visit the Art of Living Ashram in Bangalore. We were quite impressed with what we saw there. And the way they are attracting so many youth is a remarkable thing in itself. I feel so happy knowing that you have re-read the post! Thank you! This entry was posted on June 2, 2015 by Beloo Mehra in India and tagged Indian Culture, Spirituality in Life.